Let’s be a little sexist. Who talks more men or women? *Hannah accidentally turned off her recorder for two hours, however, so her real total could be 14,000. At an early age, girls tend to have one or two girlfriends with whom they play regularly. They are more likely to discuss feelings and the impact of events upon themselves. Women use language to create and maintain social cohesiveness and their activities are generally co-operative and non-competitive. In all female groups women often discuss one topic for more than a half-hour. Is this is why there are so many women in language classes in San Miguel or is it simply that there are so many women? Have you noticed the gringo women (it’s always women) who want everyone to know they can speak Spanish? One of my favorite websites is Dead or Alive where you have the opportunity to take a quiz to see if you know who is dead or alive. If you enjoy this game, then you will enjoy playing it in real time in San Miguel. 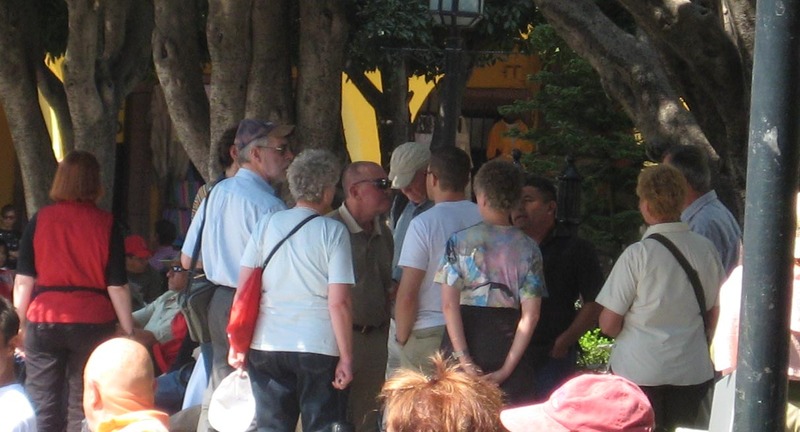 Given the age of the population in San Miguel, it is played each morning in the Jardin. Irma isn’t looking too good. 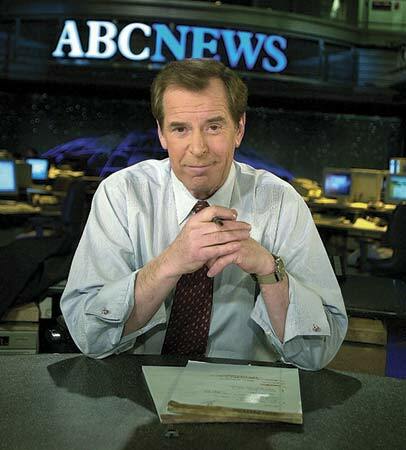 Did you hear Babs, had another fall. Another great game is Dead, Gay or Canadian. The rules are simple. You just give someone a name and they have to respond with Dead, Gay or Canadian or some combination. How does this happen? What force begins the change. The cause is the Guide Book and a Movie. 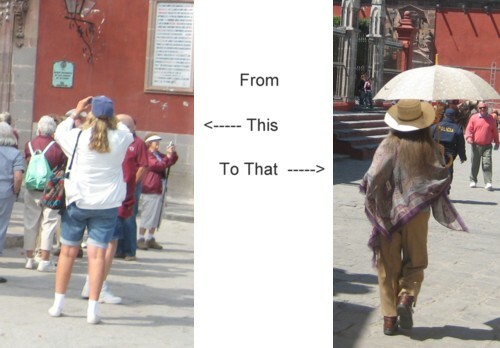 Guidebooks are crutches for Tourists. Travel is about SEEING the most you can in the least amount of time. The Guidebook tells you what to see and the camera records it. Tourists arrive and start to follow the advice of one of these guidebooks. 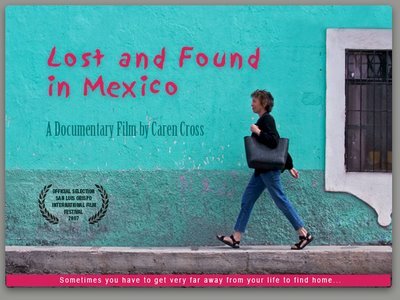 They start with looking at a quaint little church here, eating at an authentic restaurant there, taking pictures of doors or door knockers or window or flower boxes, finding a Mexican Artisan, buying an original piece of Talavera pottery or a silver bracelet, stumbling on a cobblestone or two and then the AWAKENING happens. At that moment the Tourist knows who they are or are FOUND. A quick trip to the Bienes Raices, an application to a Gang, hiring a maid and voila they are locals. 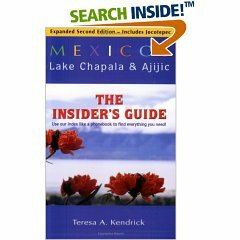 These books are published by Gang Members as part of the GRI (Gang Recruitment Initiative) that was created as the first step in increasing the English speaking population of San Miguel until it is the 51st state and can be annexed like Texas was. 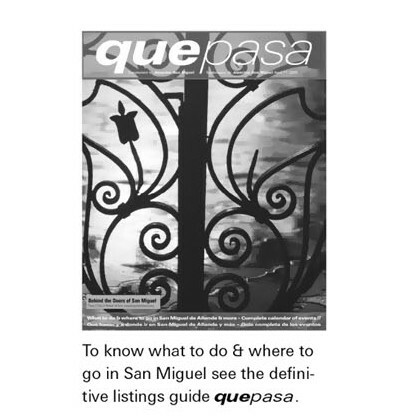 The success of the San Miguel Guidebook Strategy to Gang Recruitments has spawned other parts of Mexico to use the same technique to snare their own gang members. Once the Gang member is settled in San Miguel then the guide book is put away and used only for guests. Gang members now use Atención to guide their activities. This local newspaper tells everyone what to do and where to go. Not only do walls have to be filled with Art but shelves need to be filled with books. 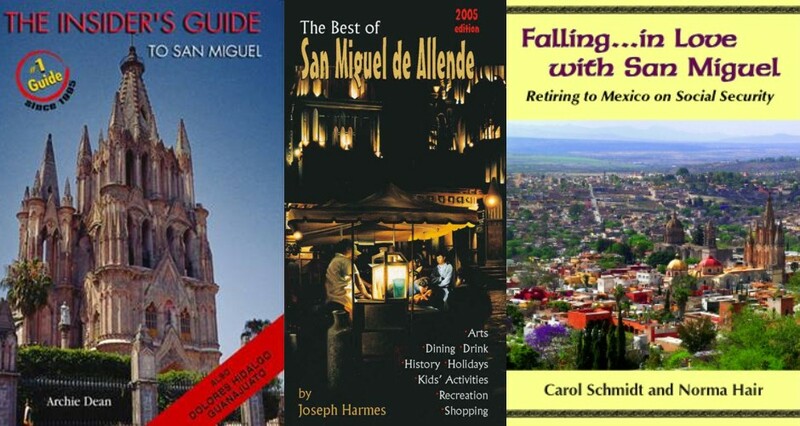 The Three guidebooks that started the Awakening in San Miguel are not enough to fill a shelf. So Gangs have created as part of Getting Fully Acted a series of books to help members delve deeper into Gang Rituals. These books range from simple books on each Gang to explanations of Art. 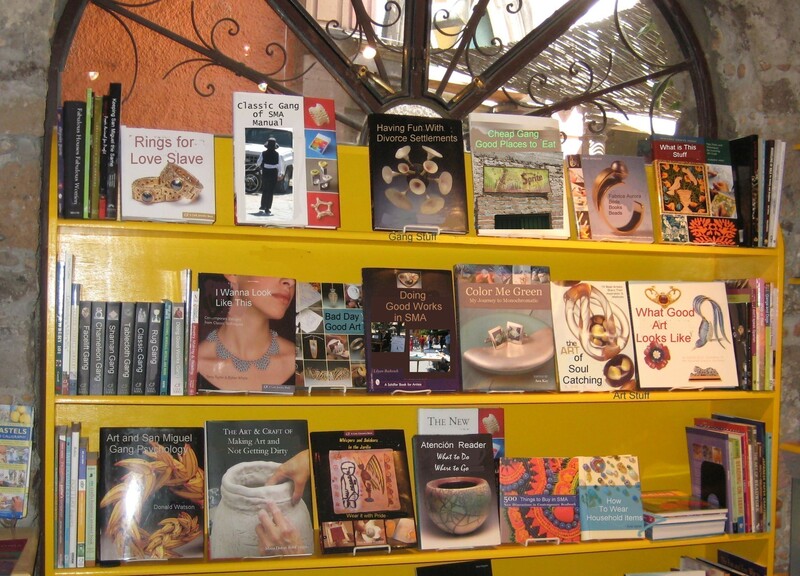 These books are sold in a secret book shop on Jesus. To see more details you must click on the picture twice. The first click brings up the picture and the second click enlarges it. When the picture is open use the sliding sidebars at the bottom and right side to reveal all the book details. You will be surprised to see all that has been written. 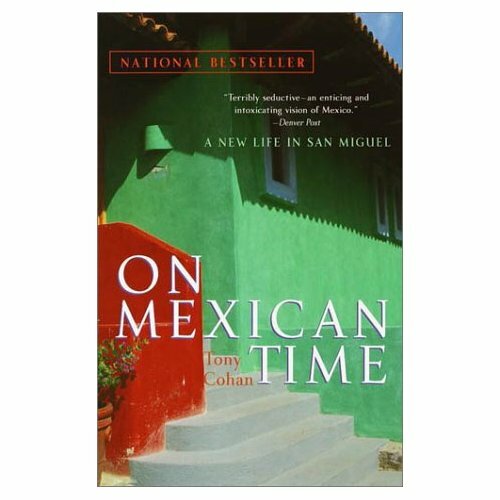 My Mexican Friend Jennifer Rose in a comment below has started the list of essential books for a home in Mexico. Here is the first to buy..
Every Friday a little newspaper is published in San Miguel called Atencion. But once the Atención is out then they know what to do for the next week. The purpose of the Atencion is to tell people what to do and where to go. Look carefully at the words under Que Pasa. Atencion runs the Matrix of San Miguel. This is not a conspiracy theory but the truth. The week is laid out for gangs. Almost every minute of the day is planned by the Atención. Every evening has one or more “ARTY” events like a play, singsong or poetry reading. 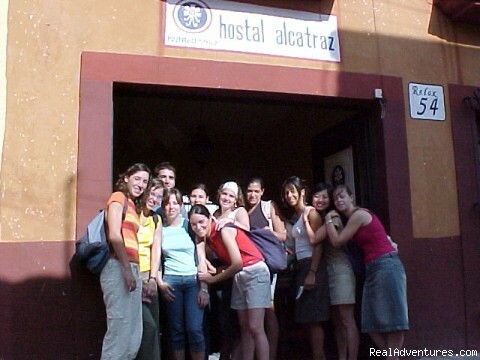 Without Atención there would be nothing to do in San MIguel. But wait there is even more. The last part of the paper is full of REAL ESTATE listings. Real Estate is the Holy Grail of all Gangs except those on Social Security.